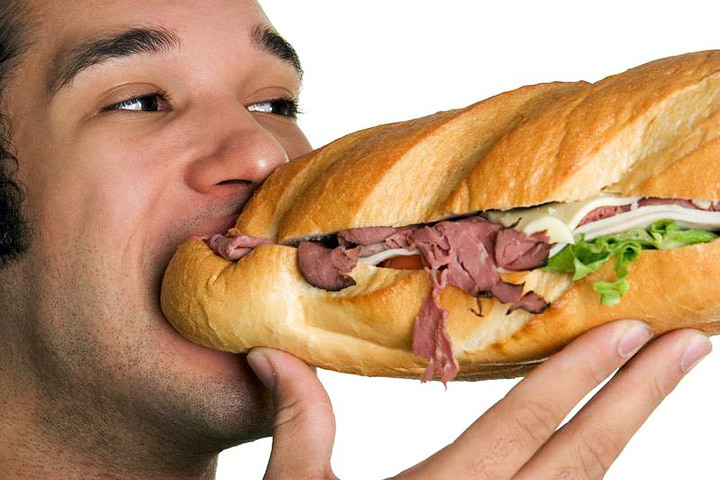 Are you cutting down on carbs? 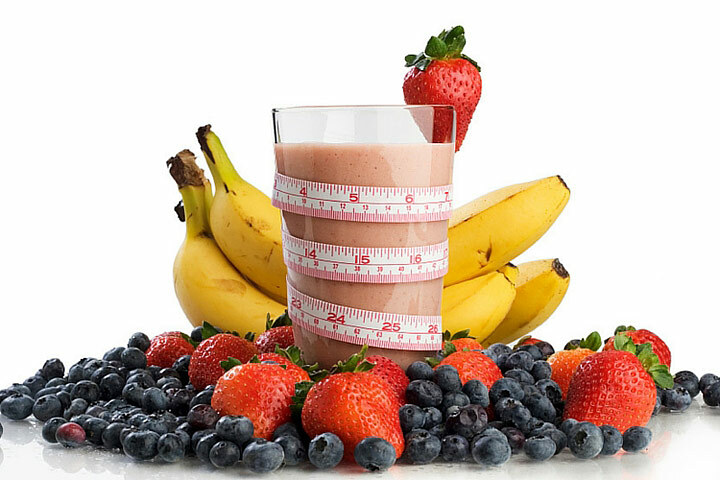 If you’re focused on building or maintaining muscle, you may be interested in upping protein rather than carbohydrates as the base of your breakfast. 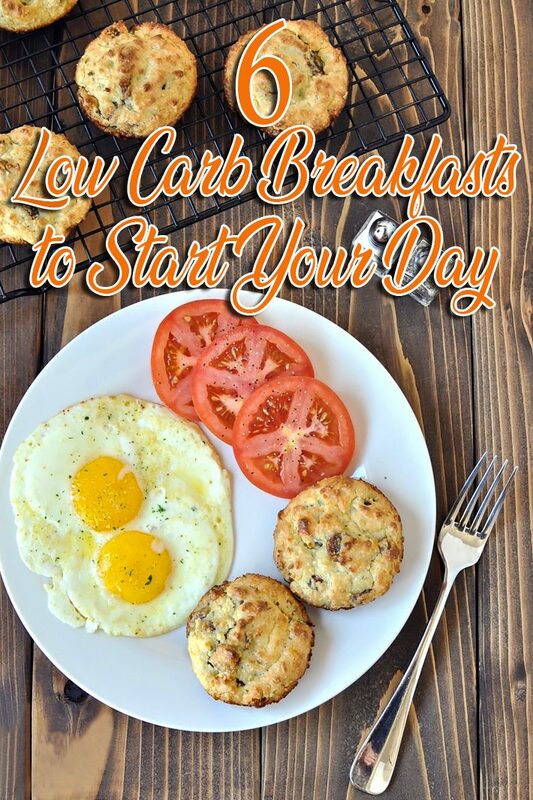 Plus, if you tend to overeat carbs later in the day, it can be a good idea to start with a low-carb breakfast. Whatever your reasons, you’ll love digging into any of these 6 tasty dishes. 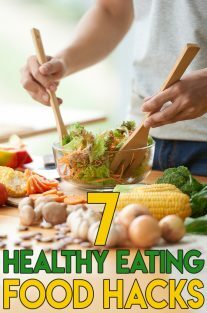 Each provides about 20 grams or less total carbohydrates. 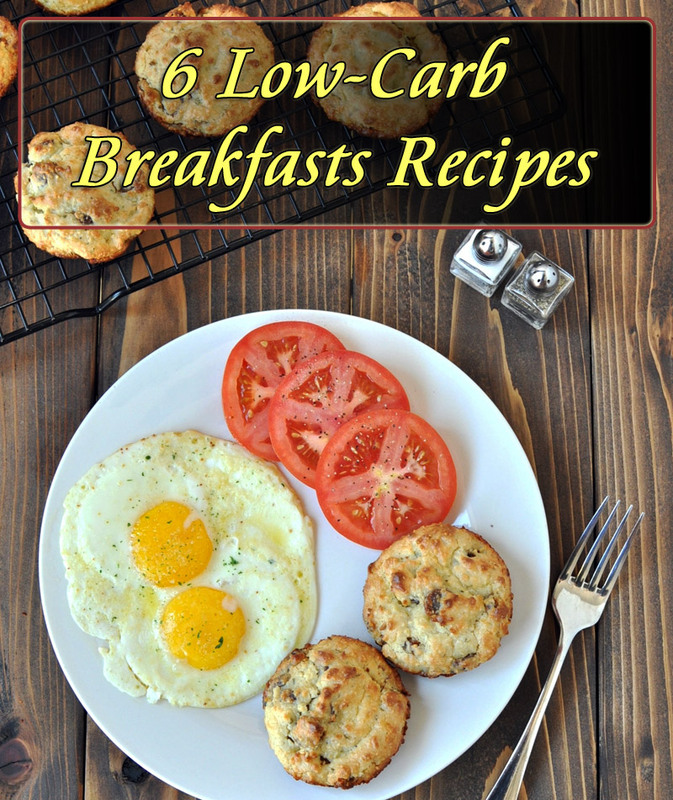 Eggs are definitely a mainstay of the low-carb breakfasts, and you’ll find four intriguing egg options here. But you can keep your carbs in check without eggs by picking any of the other recipes, which range from savory yogurt preparations to vegan hash. In the U.S. strained yogurt is primarily known as Greek yogurt. Unfortunately, far too often strained yogurt is served in a way that’s loaded with added sugar. But did you know that it’s absolutely delicious served savory-style? In fact, that’s traditionally how this thick and creamy yogurt is served in Middle Eastern countries. 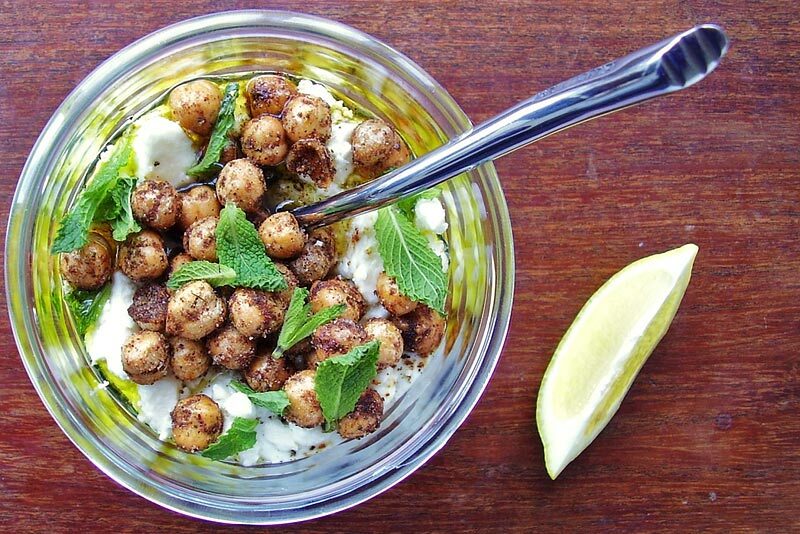 In this recipe you’ll enjoy it sprinkled with extra-virgin olive oil, sea salt, black pepper, feta cheese and spicy, crunchy chickpeas. It’s a terrific way to kick-start your day — especially with the naturally occurring probiotics provided by the yogurt. 331 calories and 17 grams of carbohydrates. Add the yogurt to two 10-ounce capacity jars or bowls. Garnish with mint, if using, and serve with the lemon wedges. Photo credit: Jackie Newgent, RDN. One of the most popular breakfast sandwiches in America is the Egg McMuffin. Unfortunately, when you get it from a fast food restaurant, it’s quite processed and contains preservatives. Why not skip the excessive processing and indulge in this recipe you can make at home? 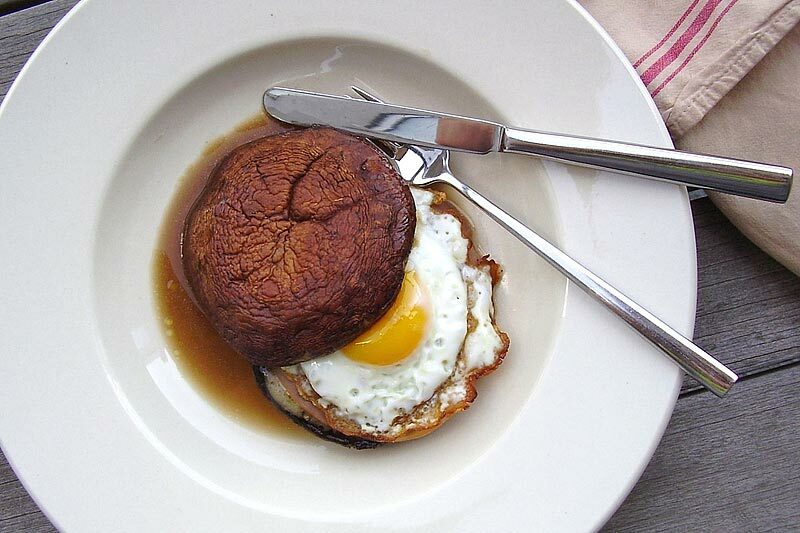 Instead of a white English muffin, the “bread” in this recipe is sauteed portabella mushroom caps. The caps are stuffed with better-for-you versions of the traditional breakfast-sandwich ingredients, including uncured organic ham (without nitrites! ), naturally smoked “real” mozzarella cheese and a pasture-raised egg. All together, it’s a hearty breakfast dish that’s meant to be eaten with a fork and knife. 336 calories, 8 grams of carbohydrates. Heat 2 teaspoons of the oil in a large (PFOA-free) nonstick skillet over medium. Add the mushroom caps, rounded side up, and cook for 5 minutes. Flip over the mushroom caps, sprinkle with the salt and pepper, and top both caps with the cheese and one cap with the ham. Cook the topped mushrooms until well done, about 5 minutes more. Meanwhile, heat the remaining 1 teaspoon oil in a small (PFOA-free) nonstick or cast iron skillet over medium. Add the egg and fry until desired doneness, about 4 minutes. Transfer the ham topped mushroom cap to a plate, top with the egg, and place the remaining mushroom cap on top, cheese side down. You can’t go wrong with a tried-and-true scrambled-egg breakfast. But what about scrambled organic tofu? This tofu preparation is the dish that gives eggs a run for their starring role on the morning table. 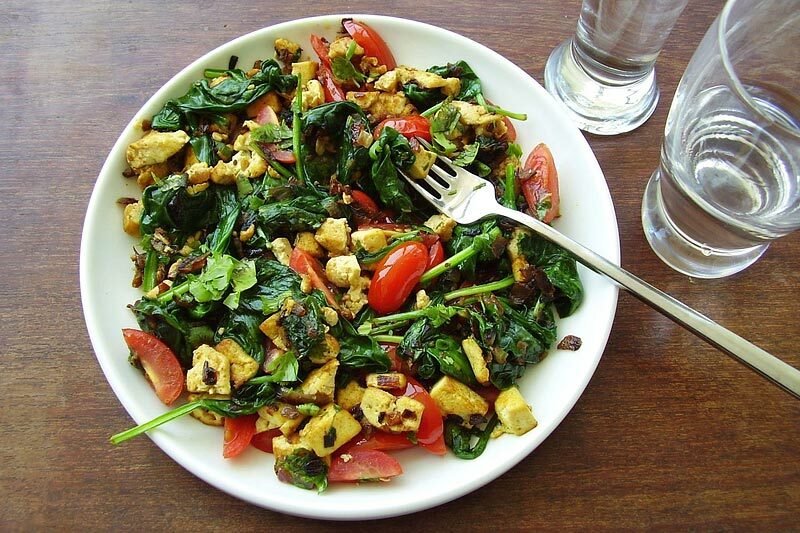 There’s so much taste, texture and eye appeal to this plate of vegan deliciousness, including the virgin coconut oil in which red onion is caramelized and the hot Madras curry powder that give the tofu distinctive flavor and color pop. And if that isn’t enough, your heart will be won over by the nutritional value of this entree that’s rich in beta-carotene, vitamin C, iron, calcium, fiber and quality protein. 302 calories, 13 grams of carbohydrates. Add the tofu, curry powder, and 1/8 teaspoon of the salt to a medium bowl, toss to evenly combine, and set aside. Heat the oil in a large (PFOA-free) nonstick skillet over medium-high heat. Add onion and sauté until softened, about 3 minutes. Add tofu mixture and sauté while breaking up the tofu until the tofu resembles scrambled eggs and onions are caramelized, about 3 minutes. Add spinach, lemon juice, and remaining 1/8 teaspoon salt and cook while tossing until the spinach is wilted, about 1 minute. Plan ahead by boiling a couple of eggs the evening before you plan to enjoy this appetizer-inspired breakfast. Better yet, cook up several eggs to have on hand for the next few days. When you do, breakfast becomes an especially speedy fix. Though egg salad is often served as a lunchtime sandwich, you’ll find great satisfaction when it’s served for breakfast on juicy, ripe tomato rounds. In addition to the high-quality protein, you’ll be getting plenty of lutein and zeaxanthin from the egg yolks. 323 calories, 7 grams of carbohydrates. Cut the tomato into 4 slices. Pat dry. Sprinkle with 1/8 teaspoon of the salt. In a medium bowl, gently stir together the eggs, shallot, mayonnaise, mustard, dill, and remaining 1/8 teaspoon (or less) salt. 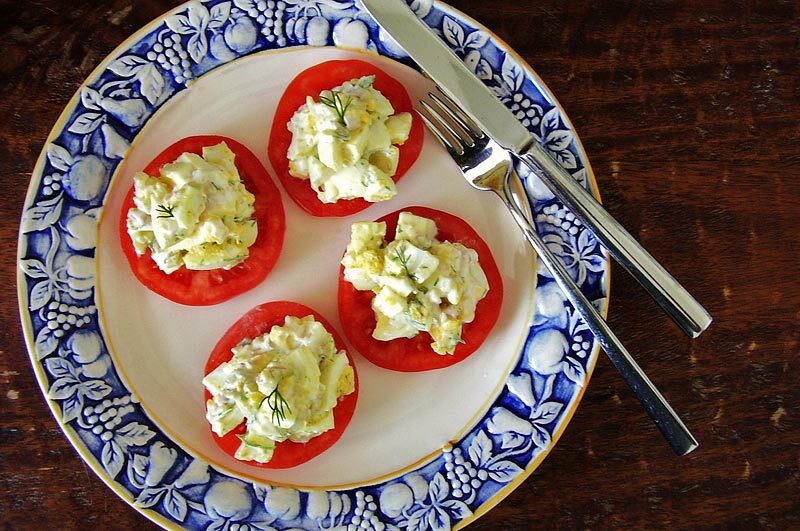 Top each tomato slice with the egg salad. TIP: HARD BOIL EGGS IN ADVANCE. Here’s a turkey sausage patty that’s fresh, preservative-free and full of flavor. To make it, prep the sausage mixture the night before to make morning meal move along quickly. Then brown up these big babies and top each with an egg prepared sunny-side-up (or any style you like). It’s a double whammy of high-quality protein. And consuming high-quality protein at each meal, coupled with regular exercise, may ward off the natural loss of muscle due to aging. So enjoy this entree for your muscles — and your taste buds! Pair with a vegetable, such as a simple arugula or tomato salad, to make it a complete meal. 231 calories, 3 grams of carbohydrates. In a large bowl, combine by hand the ground turkey, egg, onion, rosemary, 3/4 teaspoon of the black pepper, the sage, and 1/2 teaspoon of the salt. Add 1/2 tablespoon oil to each of two (PFOA-free) nonstick skillets and heat over medium-high. Transfer sausage mixture to hot skillets making 4 (1/2-cup) servings. Pat to form 4-1/2-inch diameter patties. Cook until well browned and well done, about 4 minutes per side. (Alternatively, cook patties in batches.) Transfer patties to a plate; loosely cover with foil. Top each sausage patty with an egg. Sprinkle with the remaining salt and pepper. Pair with a serving of vegetables, like a simple arugula or tomato salad, to round out the meal. Salad for breakfast? Absolutely! 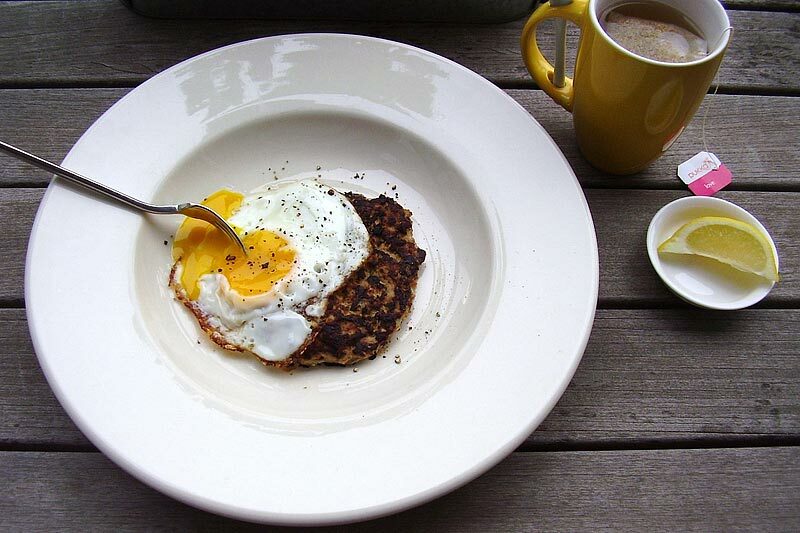 When topped with a couple of eggs, it’s a fantastic, protein-rich way to kick off the day. This breakfast salad is loaded with vegetables and has the richness and healthy fats from avocado. It’ll provide you with a full day’s supply of beta-carotene and vitamin C! To save time in the morning, roast the red bell pepper the evening before or use a jarred version when in a pinch. You can also top this salad with boiled eggs. You’ll want to add this salad to your regular recipe repertoire for breakfast and beyond. 329 calories, 20 grams of carbohydrates. Spritz a large (PFOA-free) nonstick skillet with cooking spray and place over medium. Add the eggs and cook until desired doneness, such as sunny-side-up or over-easy, about 4 minutes. Meanwhile, whisk together the lemon juice and oil in a medium serving bowl. Add the mesclun, roasted bell pepper, onion, avocado, and 1/8 teaspoon of the salt and toss to combine. 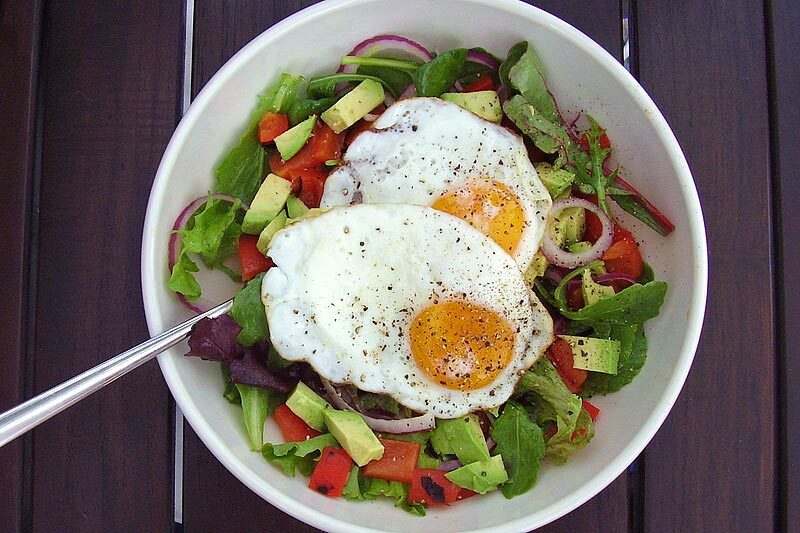 Top salad with the prepared eggs. Sprinkle with the black pepper and remaining 1/8 teaspoon salt. You can contact us, sure…here’s our E-mail : [email protected] – It can be found in our Term of Use section.